I purchased a RST and was planning to use the stock flywheel on my 99 but after removing it from the car tonight it appears the inside diameter of the clutch disc is smaller than the mating surface of the flywheel and overhangs by about 1/2 inch. 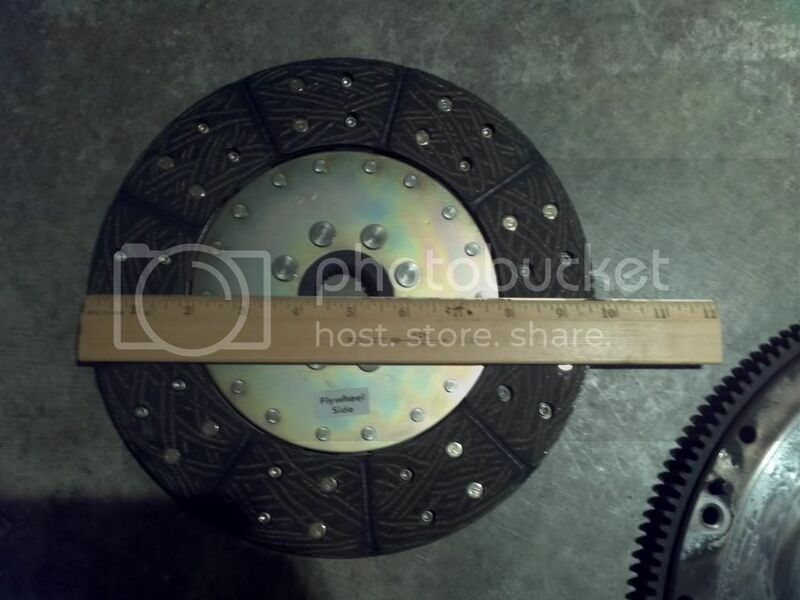 i measured 6 inches for the inside of the clutch disc surface and 6 1/2 inch on the inside of the flywheel. it is stamped gm on the back so best i can tell it is stock and the rst has 6912-07 written it so it appears to be the right one. is this normal or do i need to get a mcleod flywheel? Have you asked RST or the place you purchased the items from? If your plan is to use the old flywheel you should at minimum have it resurfaced. 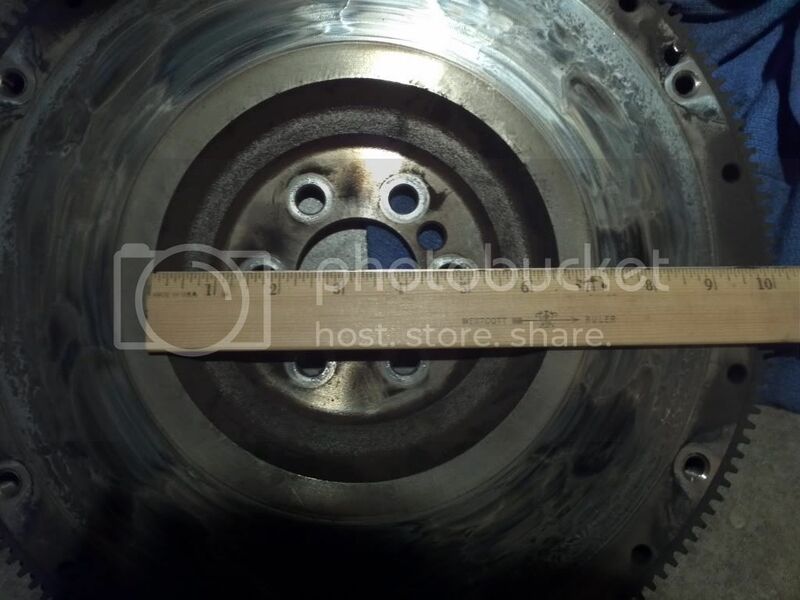 Did you index the flywheel to crankshaft before removal? Photos would help too. If I understand you correctly, the outside diameter equals the original but the inside diameter of the disc contacts a 1/2 inch over the contact marks from the original. If the flywheel is resurfaced this may not matter. What about the pressure plate? does it match the disc as far as contacting the complete friction surface of the disc? I am going to call Mcleod about it but I figured I check here first to see if anybody else had seen similar. I plan on having it surfaced, if i can use it. I will get some pictures posted so that I can hopefully explain it better. the clutch disc matches the pressure plate and the pressure plate appears to be correct for the pins on the flywheel but the area where the flywheel is recessed to bolt on to the crank is larger in diameter than the clutch disc so there would be about 1/2 inch of disc not touching any surface on the flywheel side. I am wondering if the flywheel on my car was original or not, despite the gm markings. Thanks for the response, I will get the pictures posted when i get home from work. 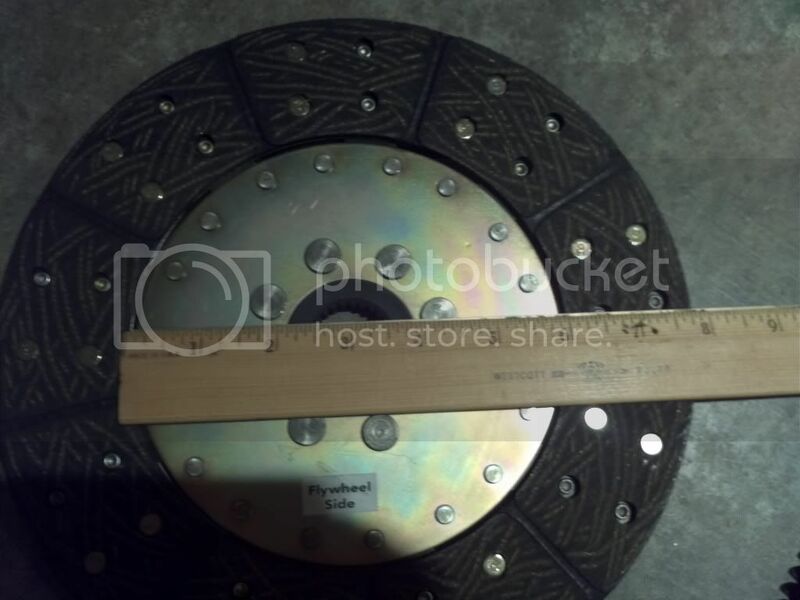 Here is the flywheel and the clutch disc from the RST. Your flywheel looks to be stock to me, and yes, I would question if you have the correct disc. Time to have them explain this if they try to tell you it is the correct one. Good catch by the way! I would expect not to need a new flywheel. Location: Dear Karma, I have a list of people you missed. Hmm, strange. Looks like 1/4" "overhang" on each side. Maybe the wrong disk got packaged with the unit? Weird. I talked to a technician at mcleod, apparently its normal to have some overhang like this. after all of the work getting to it i'm just going to get a flywheel that fits correctly. Interesting, normal, not unless it isn't designed properly. It's a shame you have to get a new flywheel if you didn't want too. Did your original have any weights in the 12 holes near the ring gear? Best of luck on the clutch change. Good catch, but unfortunate for sure. McLeod should publish this as a potential issue for OEM flywheels when using their package. I have a '99 as well, currently with the original clutch that is still holding for some reason. Good info to know ahead of time. He said I should be ok with the stock flywheel even with it like that, it would always bother me if i used it though so i figured i might as well just spend the extra for peace of mind. looks like there is one hole with a plug in it, this is for balance I'm guessing? If it was in one of the 12, like in the picture below, yes, it is for balancing. Did you index the flywheel to the crankshaft before removing it? Just one of these small weights not where it should be will be the difference in a smooth running engine to a real shaker. [QUOTE=Eric D;1579666495]If it was in one of the 12, like in the picture below, yes, it is for balancing. Did you index the flywheel to the crankshaft before removing it? Just one of these small weights not where it should be will be the difference in a smooth running engine to a real shaker. ugh, i didn't. I intended to but once i got the bolts out i just pulled it off without giving it a thought. if i can tell where it was supposed to be can i transfer that plug or do i need a machine shop to do it? Take a look at your crank where the flywheel flange is. Sometimes the non-bolt hole in the flywheel will leave a mark that will allow you to see where is was indexed. The new flywheel might not have the 12 balancing holes. If not, yes, a machine shop might be your best bet for doing a match balance, but ONLY if you can find the index to the crankshaft. I looked as you suggested and there is a hole in the crank that lines up with the extra hole in the flywheel. judging by the amount of dust in the hole it was lined up with the one in the flywheel. Thanks for posting this. This has me second guessing using the RST with my stock flywheel. I do not like the idea that I am giving up that 1/4 inch where the clutch disk is riding on NOTHING when using the stock flywheel.